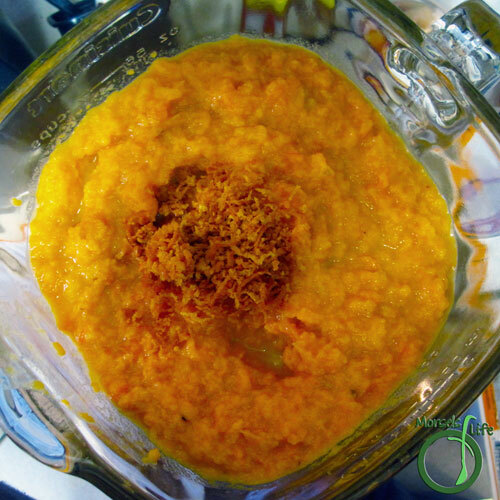 Orange zest folded into a creamy sweet potato soup with just a touch of spice. I'm not sure why I'm on a soup kick lately. It's definitely not the frigid winter yet! (Don't worry - this soup's just as tasty cold.) Soups are a simple way to fill up inexpensively, quickly, and easily. For example, this soup's got a whole 5 ingredients, half optional. I added a bit of orange zest to further brighten the flavor profile and a bit of ground serrano pepper just for fun. 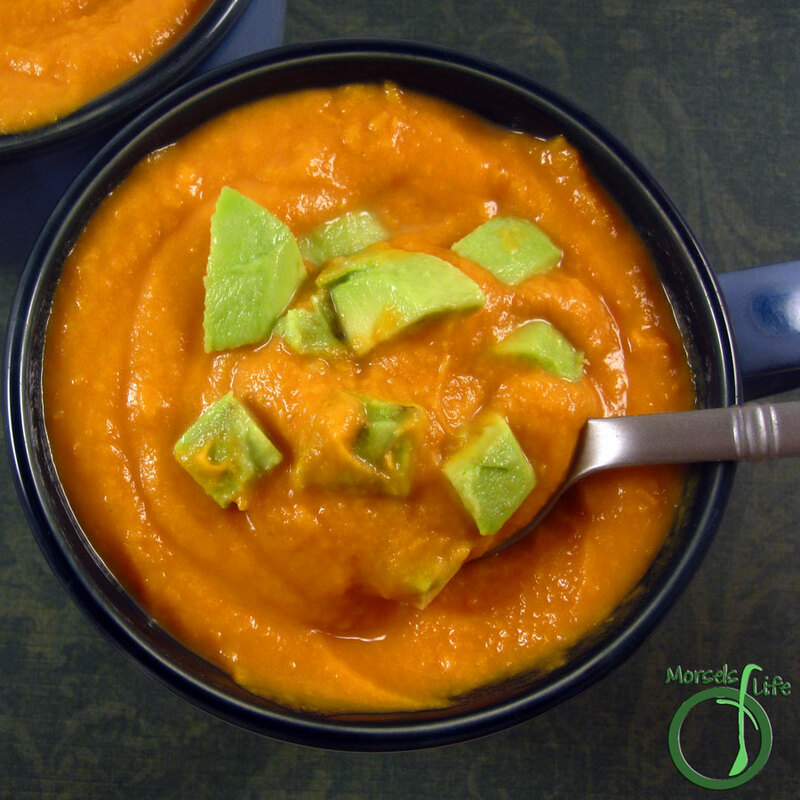 For a cold soup, you can actually just throw everything into the blender and call it a day or you can make the warm version and allow it to cool. Do you enjoy soup year round or mostly in the winter? What's your favorite soup? 2. 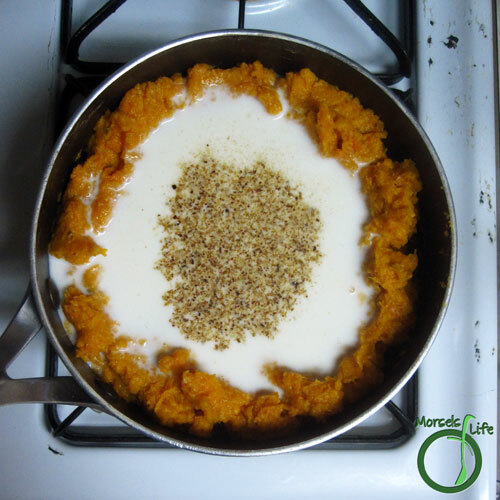 Combine milk, sweet potatoes, and pepper flakes. Stir and heat. 3. Blend mixture with orange zest. You could also just stir the orange zest in, but I wanted a smoother texture. Top with avocado before serving. This looks wonderful! 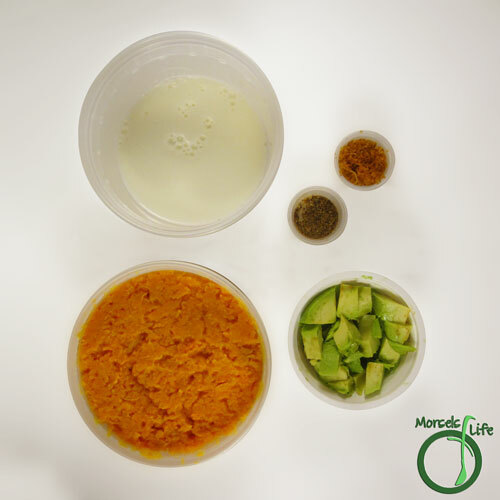 We are crazy about sweet potato at the moment! Cooking it non-stop. Thanks for this great recipe idea!